We see those words as synonymous. How can you be truly happy if you’re not strong? And nothing makes us happier than completing a feat of strength. and earn the shirt you can’t buy.  Whether you’ve never done a pull up in your life or you’re training to deadlift twice your bodyweight, we want you to set a strength goal, work toward it, and earn your shirt. 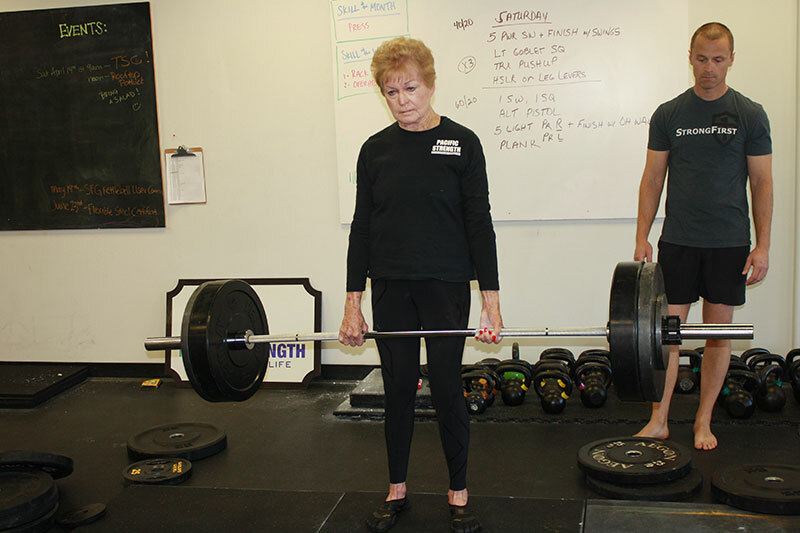 At age 79 (minus one day), Marilyn deadlifted 260lbs, which is more than 1.5x her own bodyweight. 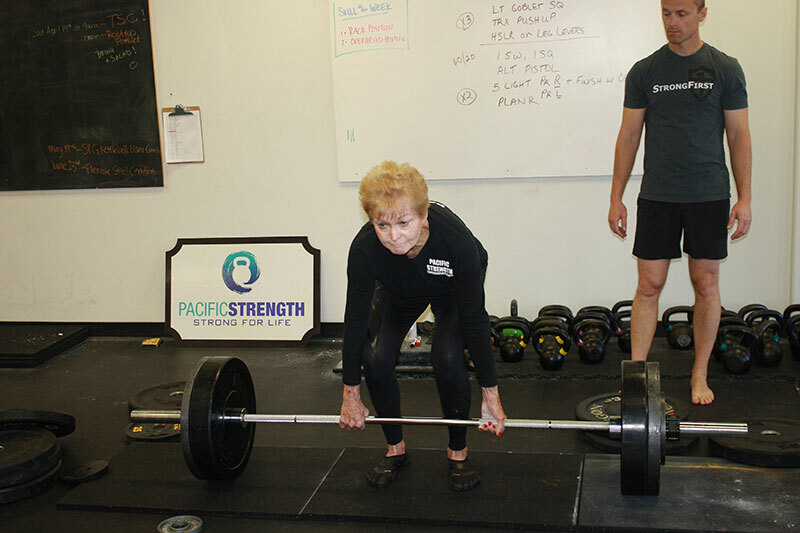 Marilyn trained for months before this Tactical Strength Challenge and although there were many days she wanted to quit, she kept coming back & putting in the time and the reps. me and the reps.